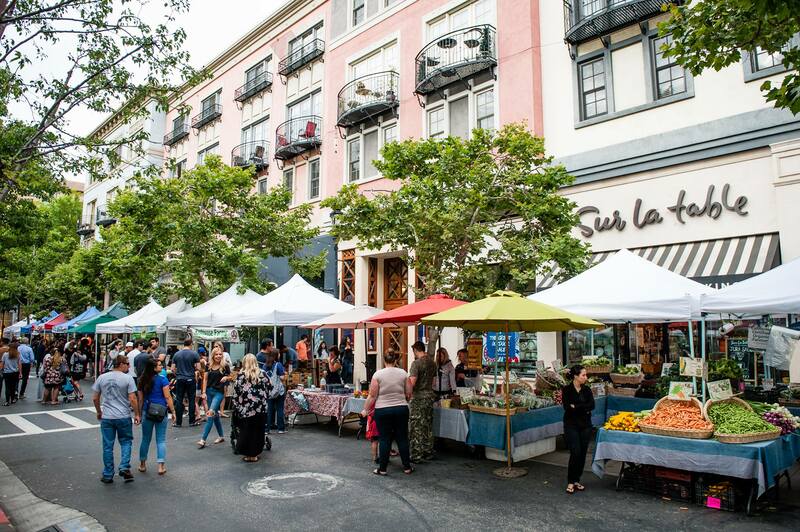 Join us for the Santana Row Farmers Market, an outdoor market every Wednesday from 4pm-8pm on Santana Row (between Olin Avenue and Olsen Drive). The streets transform into a colorful marketplace featuring over 20 vendors offering organic vegetables, local cheeses, breads, flowers, herbs, olives, mouthwatering rotisserie chicken and more. The streets are filled with music and the sweet smell of handpicked strawberries. This family friendly event also features a kid's corner, with activities ranging from cooking classes, to story time and arts and crafts. For more information contact the Santana Row Concierge at 408.551.4611.